I hope you are all doing well? 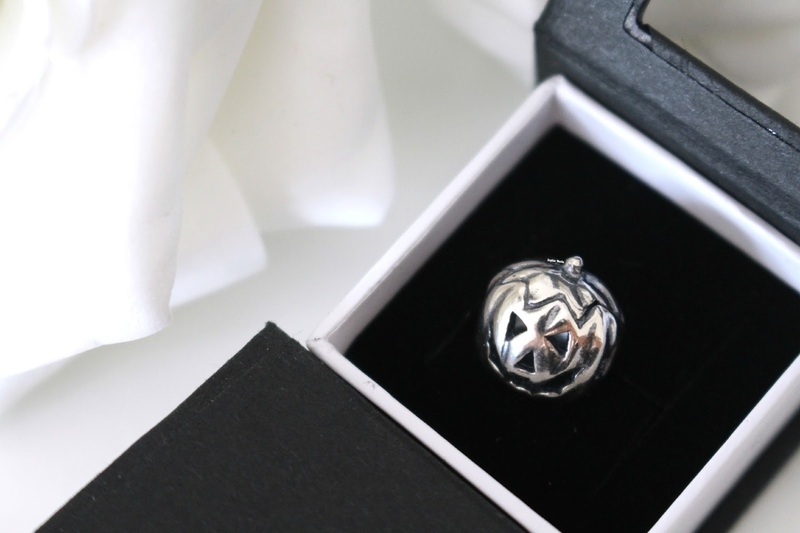 Today I have for you some more gorgeous personalised arm candy by Trollbeads. Personalisation in any brand is something I absolutely adore, I mean who doesn't like something that has a special meaning or memory held to it. Before starting my Christmas series I wanted to feature a few Halloween goodies to get us into the Halloween spirit. October is coming to an end and the evenings are getting darker which can only mean one thing...Halloween is vastly approaching. A huge thank you to you all for the lovely response I received from my first Trollbeads post here. 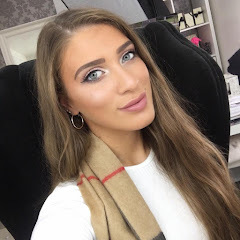 Trollbeads are a brand I have known for many years and I absolutely love their concept of collecting a bracelet that fits your personal style, memories and personality. 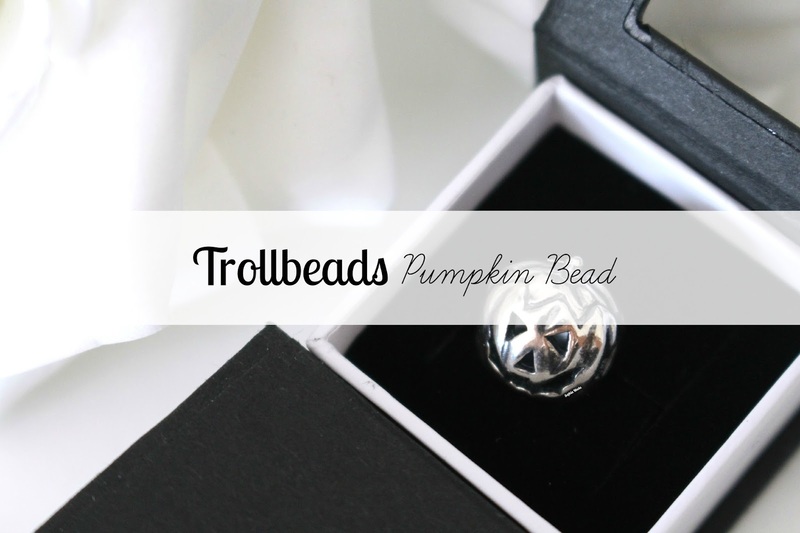 I was recently contacted by the lovely Trollbeads team again to feature this fun Halloween Pumpkin bead. I was so excited and thought it would be something cute yet spooky to feature and it might be something you have been looking at investing in, especially if Halloween is one of your favourite holidays. Like I mentioned in my previous post, Trollbeads are an exquisite set of interchangeable jewellery pieces which let you create your own look. At the heart of the collection are the beads themselves. Each piece in the Trollbeads collection has its own little history, taking its inspiration from mythology, astrology, fairy tales, fauna, flora, cultural diversity and the familiar things of everyday living. Imagine a scene, in the dim light from the pumpkin lanterns bats are flying around creating a scary atmosphere. That was the inspiration drawn to create this pumpkin bead which debuted in 2012 as part of their first Halloween collection. 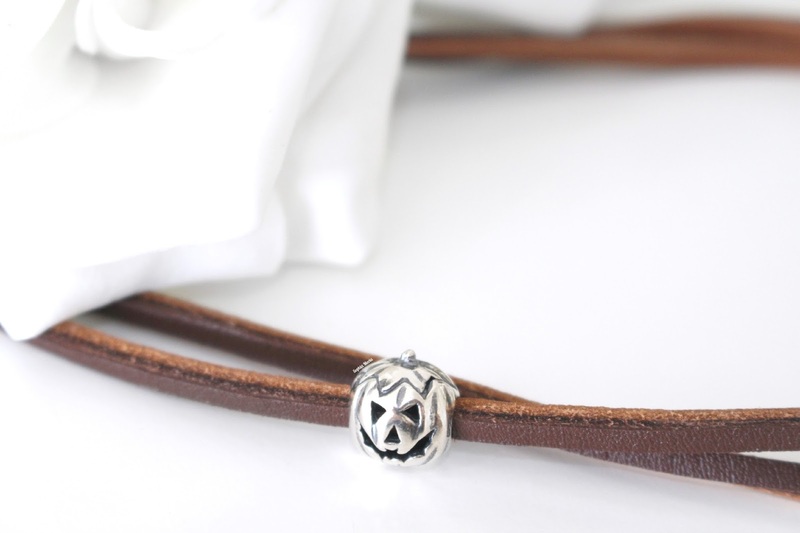 The bead itself is a great size with huge amounts of detail on the front and back. I love how they have mixed up your typical Jack O'lantern design and used a bat motif for the mouth instead of a typical spooky mouth design. I paired the Pumpkin on my bracelet with my other beads and I think it looks great. Even though the Pumpkin bead was designed for a Halloween collection I totally believe it could be added to a bracelet to add some autumnal flair; it just depends on your personal style. I hope you all enjoyed this post! I would love to know your thoughts on this spooky bead and if it would be something you would consider adding to your charm bracelet? Like always lovelies, if you have any questions, requests or if you just want a chat you can contact me on my social media or leave me a comment below. I love hearing from you all and i make sure to read every single comment…they really make my day! I have another Halloween themed post coming your way Friday. In the mean time I would love to know what your favourite Halloween traditions are?! So cute! Perfect for someone who loves Halloween! So cute! i have a pandora bracelet and I love the whole concept! 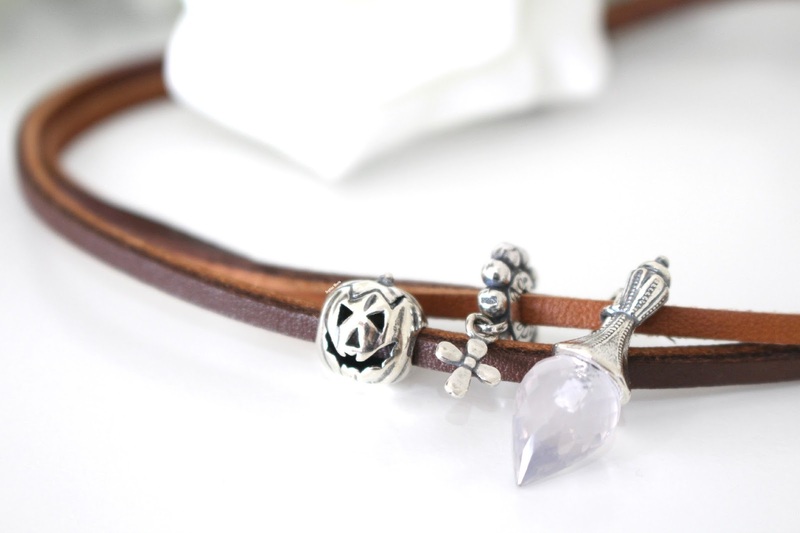 I really like the look of this - different to the typical charm bracelet but so cool. How adorable! I only own Pandora but I love the look of Trollbeads!